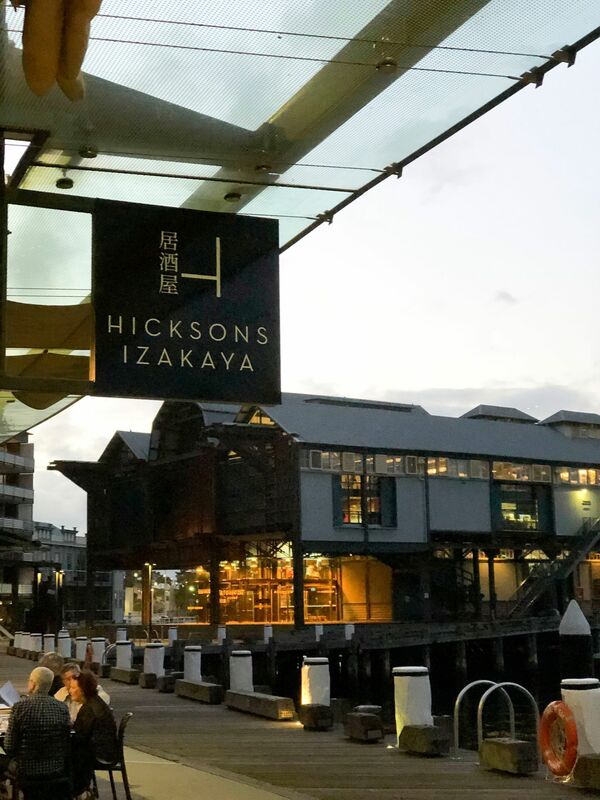 Hicksons Izakaya is situated in the perfect location for a relaxing evening, right on the water in Walsh Bay, surrounded by boats. The area, once an industrial wharf area, but these days a cultural hub with multiple theatres and this restaurant would be perfect to dine at before a show. Though they also have lunch specials, in particular bento boxes if you’re out of the office for your meal. 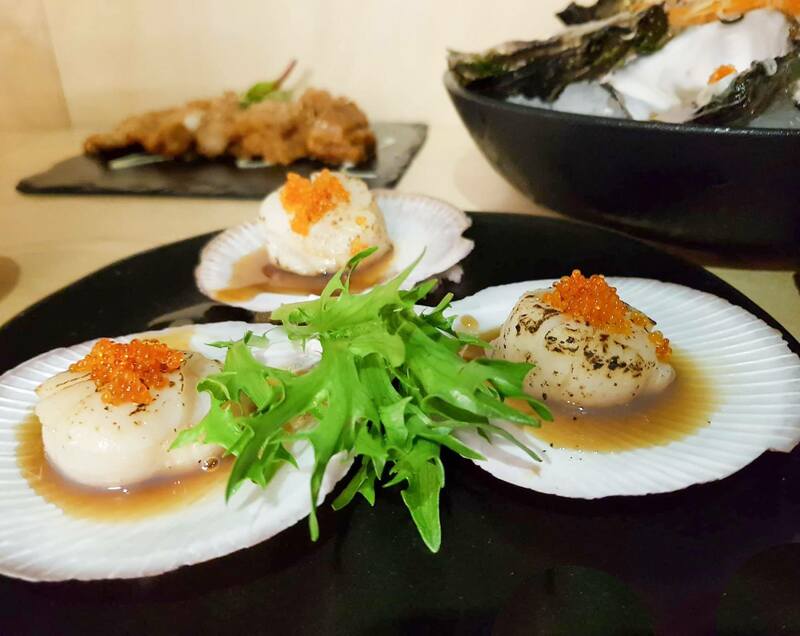 This Izakaya restaurant has classic and modern styling, with a number of tables and bar seating that are harbour facing. 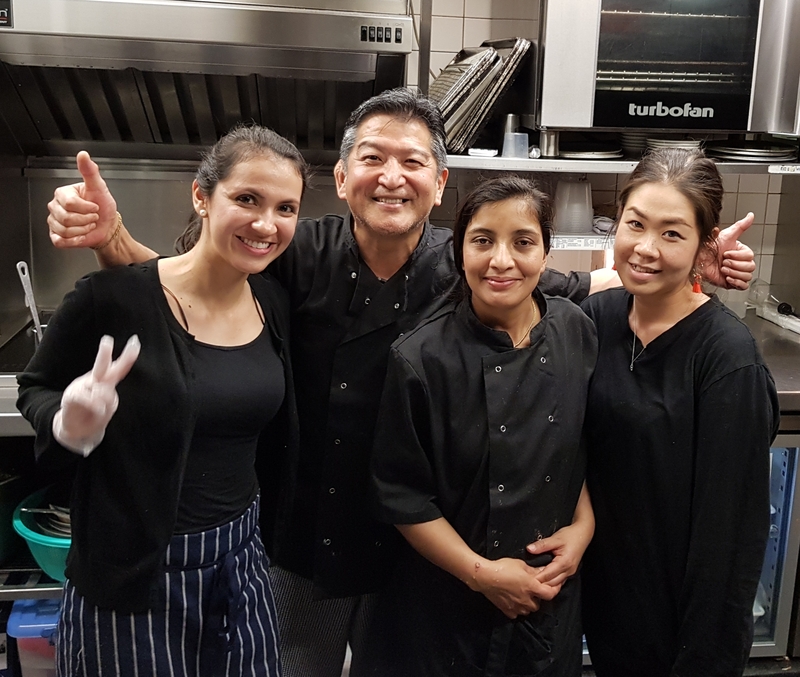 The kitchen is open, allowing you to watch Chef Hiro and his staff in action. He was also lovely to talk to and learn from, and he’s been a chef all his life. In Japanese, Izakaya is typically designed for you to share some plates of food and enjoy some beverages at the same time. 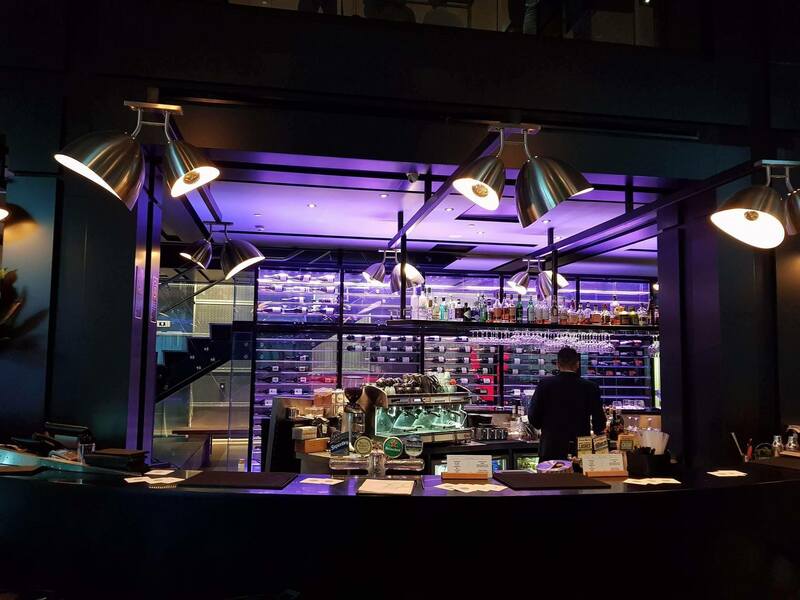 This place fits that bill perfectly with a range of tasty food on offer, to be paired with their quality drinks list which includes; a range of Japanese beer including Sapporo on tap, Sake, Japanese Whisky and of course wine, as well as some non alcoholic beverages. 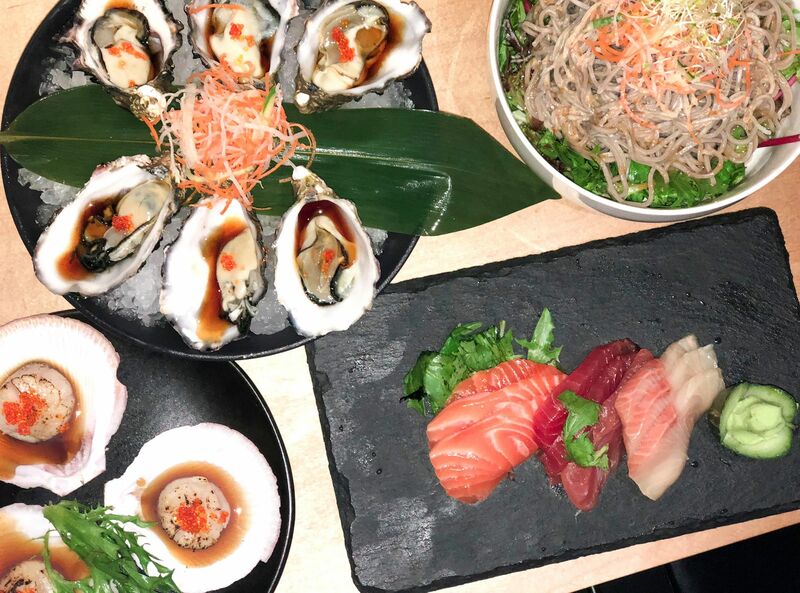 The menu contains a number of flavoursome tapas with some creative flavour combinations, delicately prepared sashimi, sushi, salads, larger bites and bento boxes which contain a bit of everything. 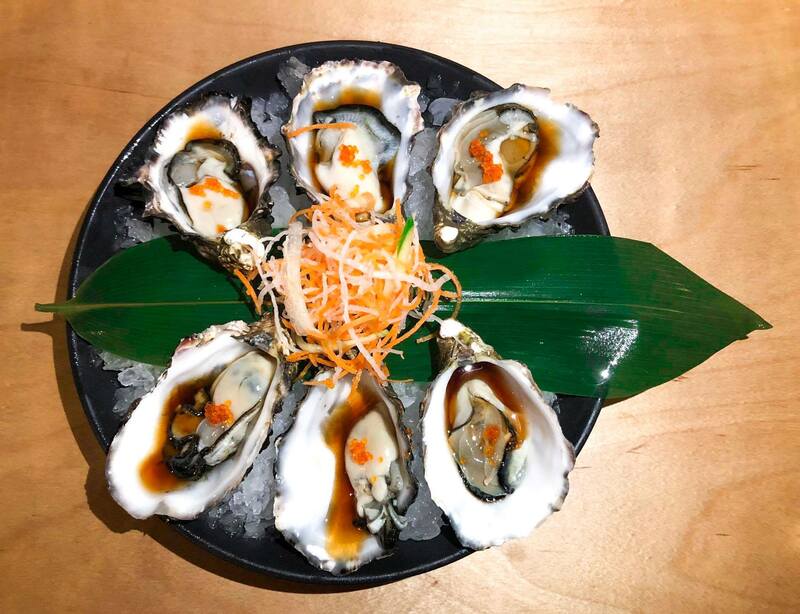 The oysters and the seared scallops were both presented in their shell, combining zesty citrus flavours, ponzu and with a little bit of honey. 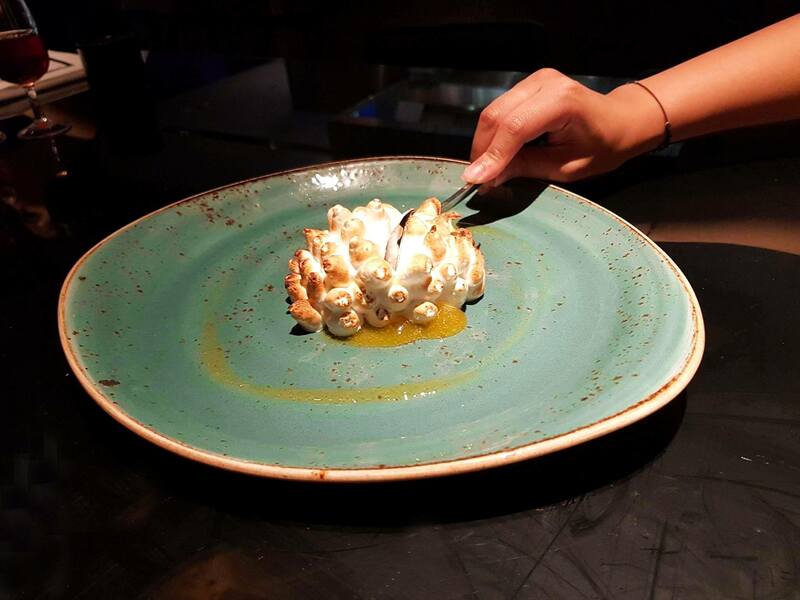 The honey paired with shellfish was some what of a revelation, however Chef Hiro says it is a delicate balancing act to respect the seafood and not to overpower the dish. 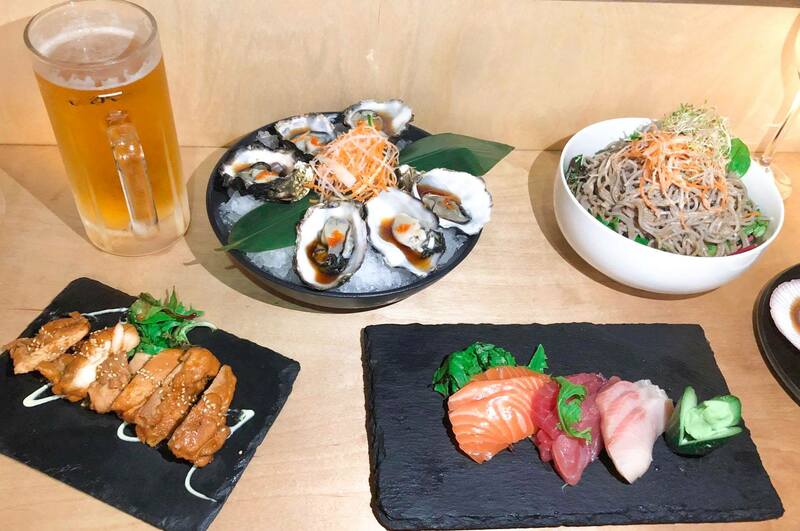 These items paired nicely with the Sapporo draft beer and a glass of prosecco. One of the most popularly ordered Japanese meals is the teriyaki chicken, which is always a solid choice. The Hicksons Izakaya offering tender chicken with a nice teriyaki sauce in a perfect tapas option. The sashimi platter was a great fresh and healthy option with salmon, tuna and king fish. I commented on how fresh it tasted, and this was marinated allowing for it to be soft and tender. This was nicely presented, as is the Japanese way. We also also shared a generous portion of the seasoned soba noodle salad, and really enjoyed this accompanying the meal. This amount of food was perfect to share between the two. 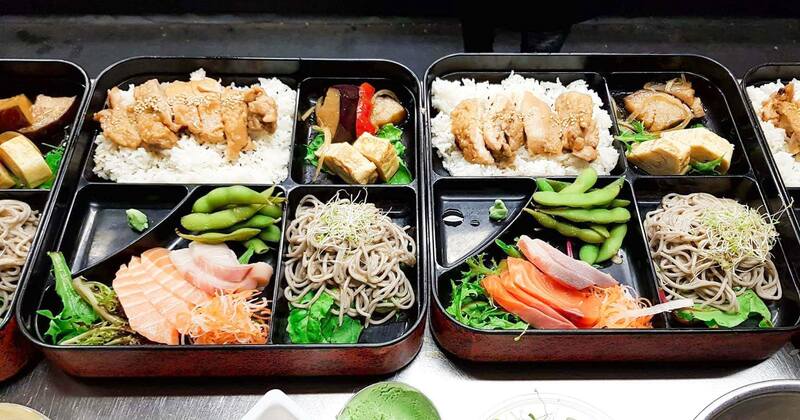 If you’re popping by on a weekday lunch, or want a bit of everything, we recommend the bento boxes, which looked amazing. When we saw chocolate sushi on the dessert menu we were intrigued and had to give it a try. 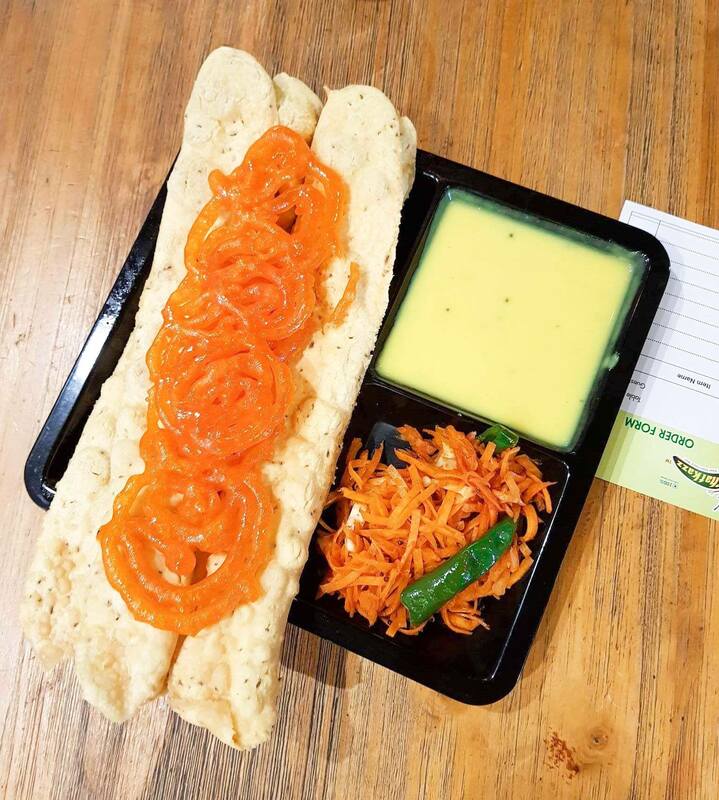 When this dish arrived we were wowed by its Instagram appeal and on top of this, its incredible taste. 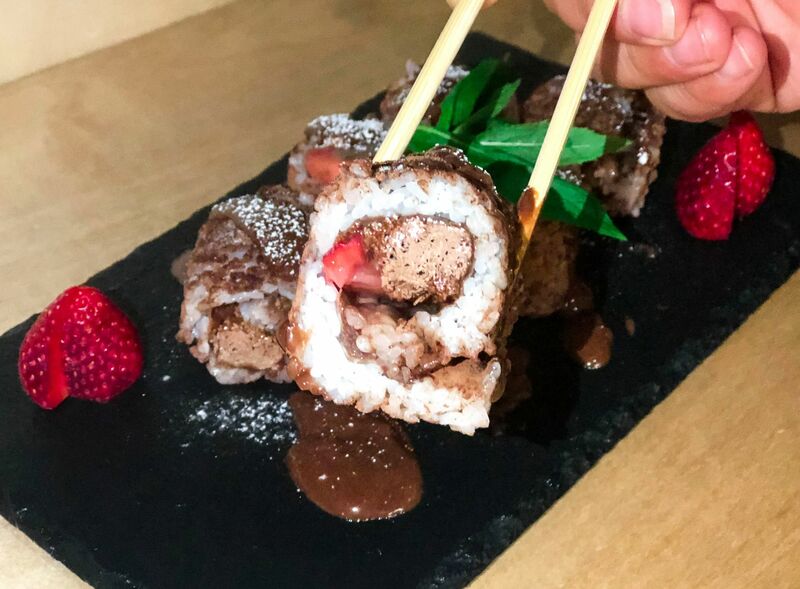 The centre contains a choclate flake and strawberry rolled in sushi rice dusted in cocoa powder and drizzled with chocolate sauce. This is an absolute must order and we’ve never had this before, we’ll certainly be keen to have this again! At this time, a Japanese whisky was the perfect accompaniment, the Hibiki Hamony and it’s delicate flavours providing a nice contrast. There were moments we felt like a light band was in the corner, we were bopping away to the soft tunes, but this simply was the “acoustic hits”, which was an absolutely perfect compilation for the venue and made for lovely ambience. This Japanese Izakaya restaurant, on the wharf at Walsh bay, with a great atmosphere and food. 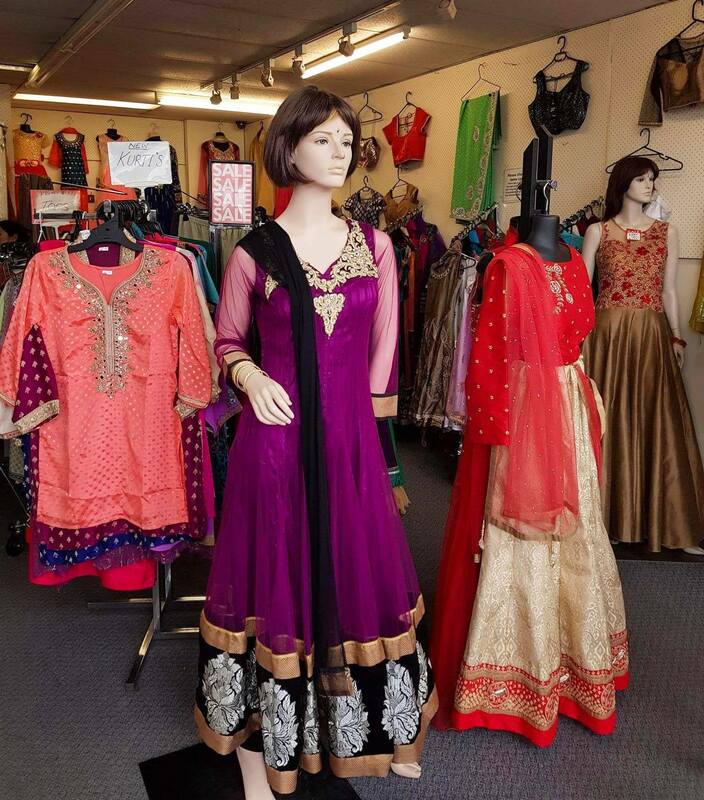 The staff are friendly and welcoming, providing excellent service all round. Chef Hiro serving up quality traditional Japanese meals and adds his creativity to the menu by combining unique flavours that work. It was going to be a sunny Sunday, Kurt was wanting to go for a surf and I wanted to check out Palm Beach. We were also extremely keen to check out the newly renovated Beach House Avalon, on Avalon Beach. After doing our sight seeing we headed to the surf club at the Southern end of Avalon Beach, the Beach House easily recognisable by the fresh pink trendy signage out front. 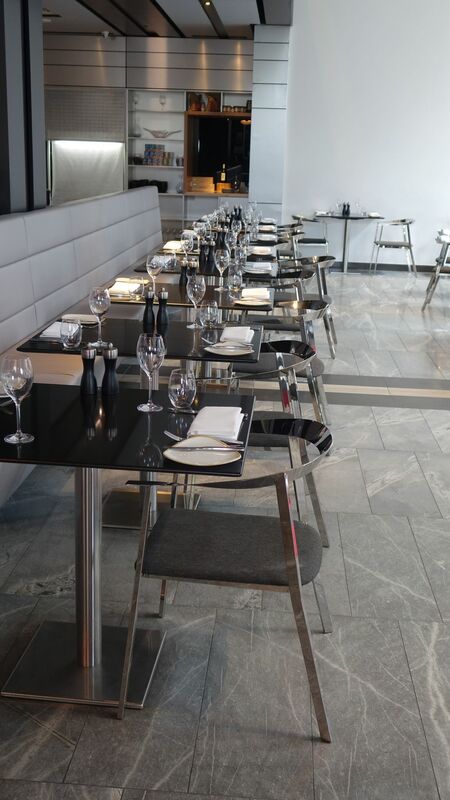 Whilst there’s a kiosk downstairs, make sure you head to the restaurant upstairs to dine in a perfect setting. As we reach the top of the stairs, we take in the stylish new renovation, with pastel pink and green walls, which suit the beachside location. You can see the chefs busily working their magic in the kitchen and also the bar staff concocting some amazing cocktails. You instantly are awestruck by the spectacular uninterrupted views of the beautiful Avalon beach, certainly a relaxing way to spend your dining experience. We were so close to the shoreline we could have thrown a line in to catch lunch. We are shown to our table by the window by the lovely Alisha, so personable, knowledgeable and passionate about the restaurant. This attitude totally makes it a pleasure to visit. We were given the menus, offered a drink as we scope the reasonably priced menu, which contains a list of appealing freshly prepared dishes with Japanese fusion elements. With most items on the menu under $25, you certainly aren’t paying for the views, which is hard to find these days. Before we decide on food, we couldn’t pass up the amazing cocktails, a little different than the usual with lovely combinations on offer. The Lotus martini was amazing, with a beautiful passion fruit flavour. They also looked after us having a designated driver on this visit, by preparing a virgin ginger mojito, a nice beach side drink. The cocktails are also reasonably priced, making the beachhouse the perfect venue to enjoy some drinks with a view. After much deliberation over all the great food options, we decided on a number of items to share including the grilled watermelon and tiger prawns with a Japanese touch in pickled daikon and ponzu dressing, a really refreshing way to start our lunch. Another great dish was the raw salmon with wasabi crème fraichè, ginger, toast, soy and ginger. The salmon had been beautifully flavoured and was extremely fresh. These items are perfect for this beachside location. It was pretty hard to go past the green pea and cauliflower croquettes with nori crumb, pickled radish, they had a nice crisp crumb and were served with tasty yuzu aioli. The inside was so creamy with nice crispy bits of cauliflower inside. We are also suckers for anything truffle, so the ricotta and shitake dumplings with truffle oil, watercress and hazelnuts were a no brainer. 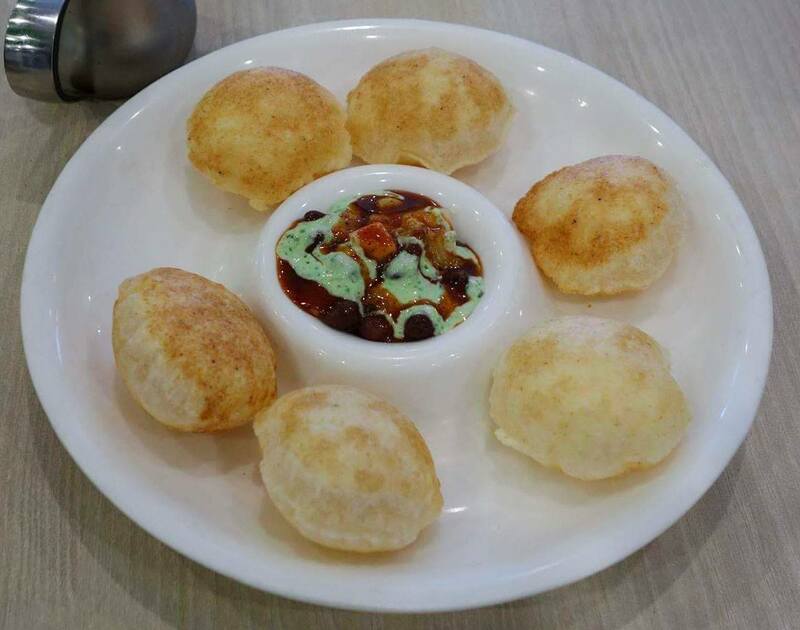 Large round dumplings and a flavoursome topping. This amount of items were very apt to share between us. Whilst we were quite full, we had also seen the Beachhouse Avalon version of a choc top on the menu. In addition, it was Kurt’s birthday, so the choc top had to be done. This was a choc top on steroids, the waffle cone was huge, filled with chocolate mousse, cashew prailine, raspberry and vanilla ice cream. 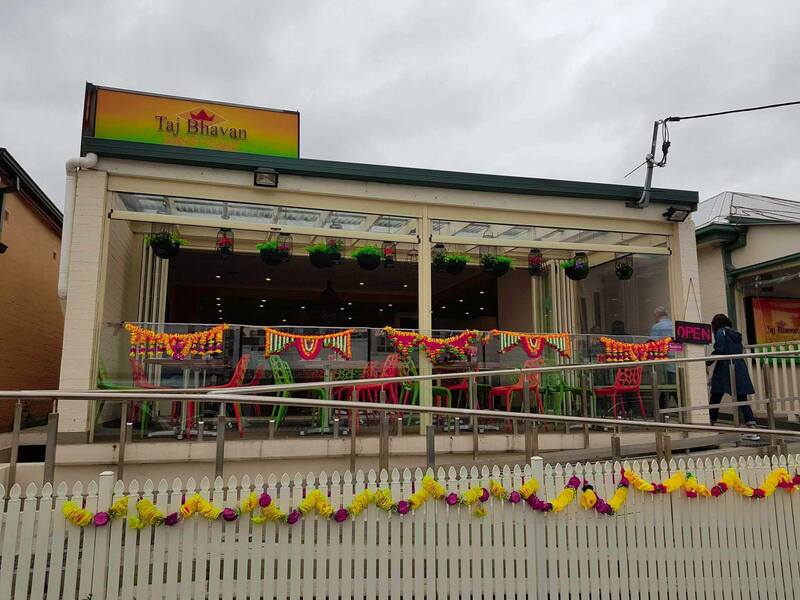 The Beachhouse Avalon met all our expectations and they’ve done the perfect job of the fit out, staffing and the menu variety is excellent and completely fitting for the location . This venue suits many occasions, from the weekend lunch to the afternoon catch up. Thoroughly recommended to add to your list of places to visit. 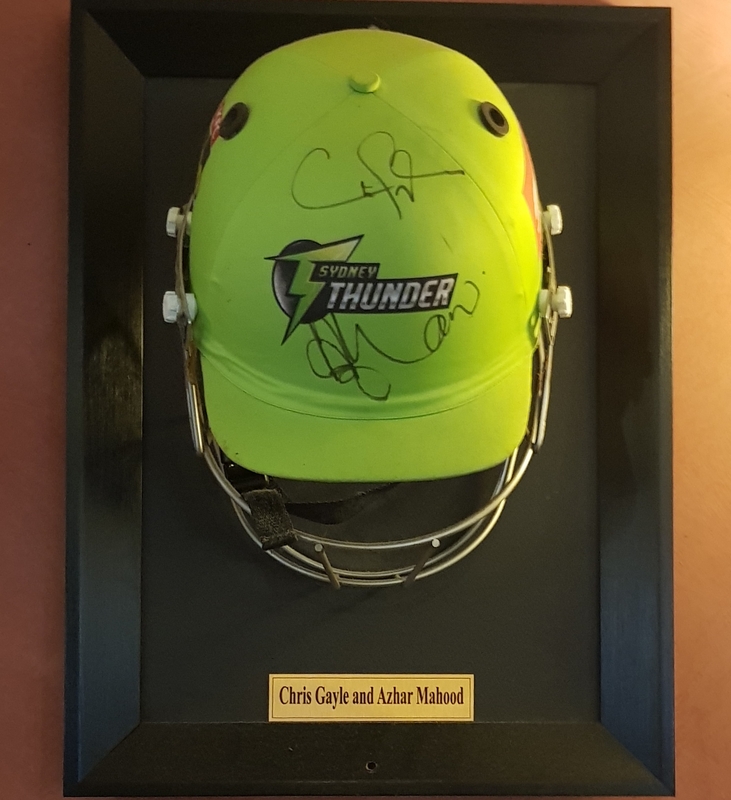 Thanks to Ryan from Trish Nicol Agency for the invitation and the restaurant for their hospitality. In the leafy suburb of Mosman is a cafe tucked into a laneway, named the Mews. A good amount of outdoor tables allows you to take in the morning sunshine. We visited bright and early, 8am and it was extremely busy when we left, so I’d recommend arriving early too. We talked to the owners who are absolutely delightful and keen to do the best for their customers, Daniel tells us they recently changing coffee beans for the locals, who like it “strong”. Using an amazing coffee machine; the Cafe racer from San Remo and the Grand cru brand, in particular the 3 bean from Brazil, Ethiopia and Kenya. A great blend and came out with some skilled latte art. The chai latte is also offered in two forms; powdered (my favourite) or brewed. 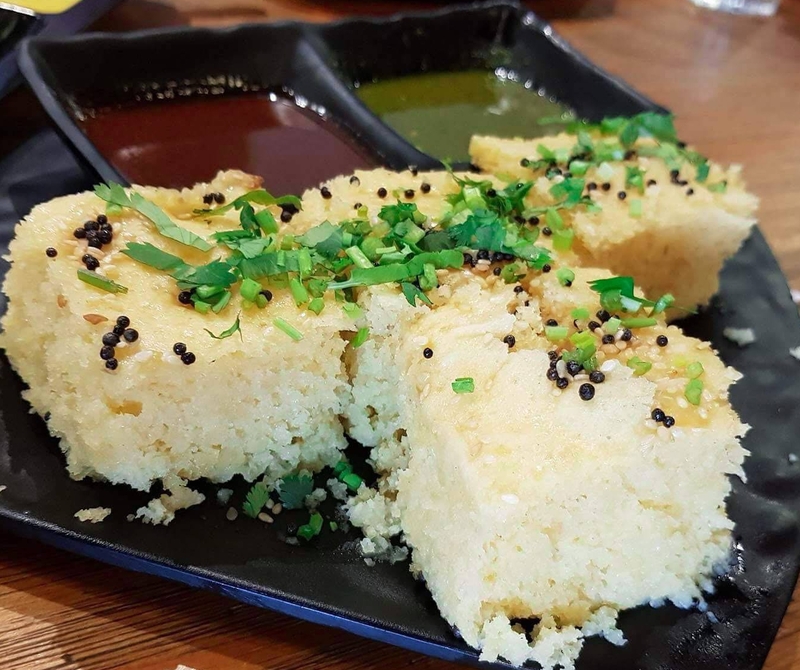 We had been scoping out this cafe for weeks, if not months now and following delicious food pics on Instagram, so it was extremely difficult to pick just one thing to eat, hence we got a few to share. 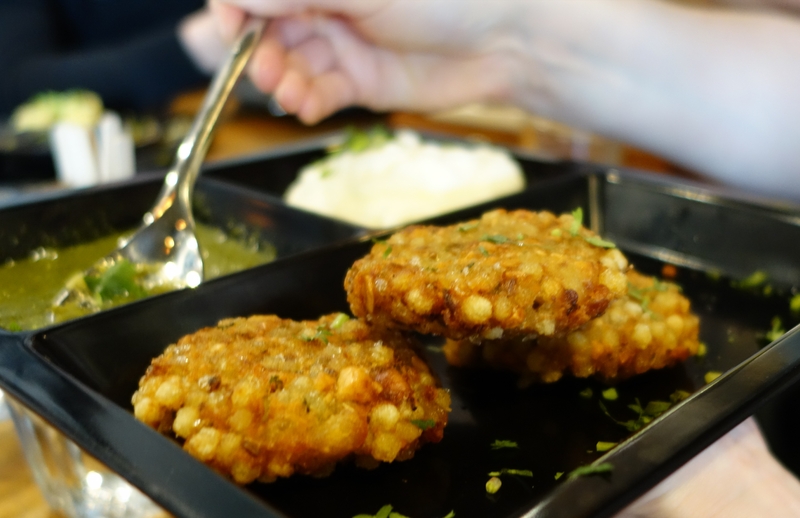 The food is a mix of Asian and Australian influences which makes for a beautiful fusion. We tried the Miso mush with sautéed wild mushrooms on a piece of sourdough, shaved edamame, black sesame, lotus chips and topped with a poached egg. Such a beautiful combination of flavours. The braised pork Shakshuka, eggs, toast capsicum and tomato, chickpeas, fetta cheese and pistachio dukkah, pomegranates and roti is quite possibly our favourite ever Shakshuka. The Nutella lava hotcakes were fluffy, almost cake like, filled with warm Nutella and topped with Candied pancetta, lemon curd and Persian fairy floss as well as raspberries and strawberries. 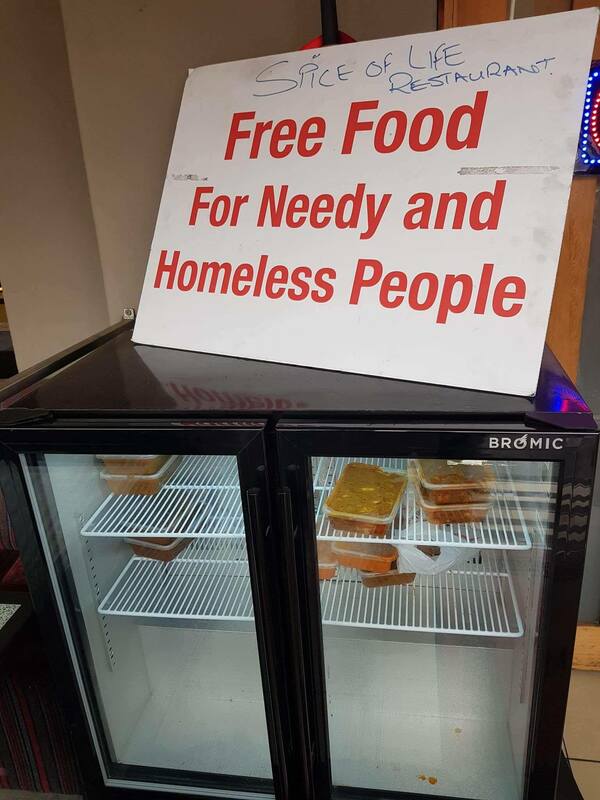 They also have vegetarian and vegan options available to it is suitable for all. It was a pleasure to visit this lovely cafe and the food is amazing. 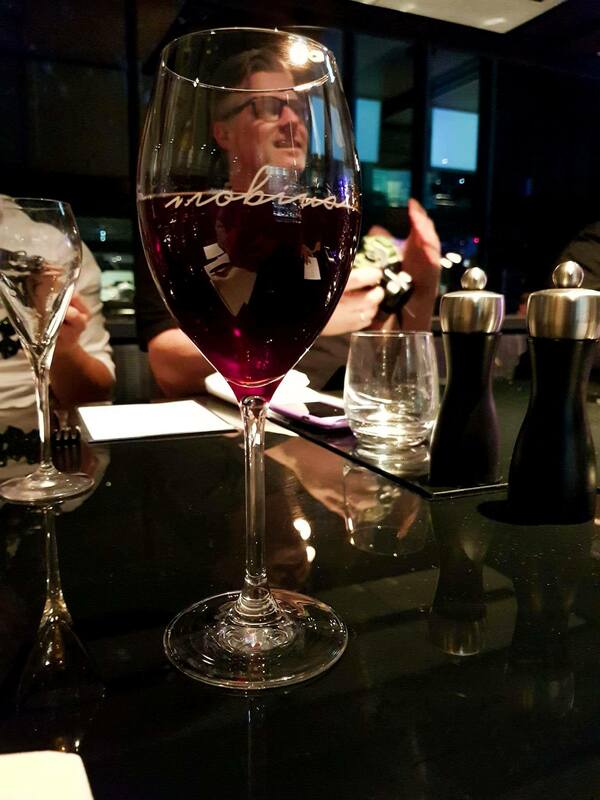 We returned to Mobius Restaurant in the relatively new 5 star Pullman Sydney Airport. The Pullman is a premium hotel, under the Accor banner, offering the highest of standards. 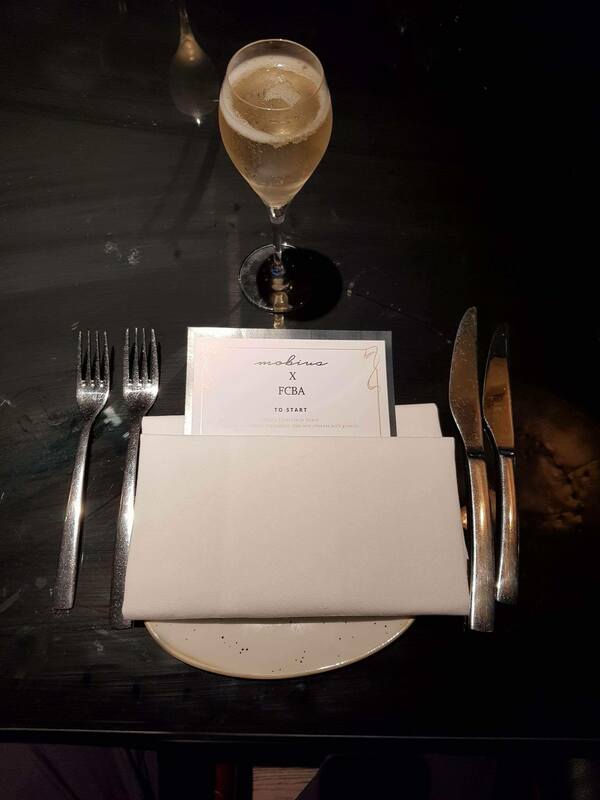 We were lucky enough to unwrap their shiny new spring menu and try some of the gorgeous food on offer. Upon entering the hotel, you experience the high level of service offered by the Pullman and you are greeted by the charismatic concierge dressed in suit and tie. Once inside, take in the modern sophisticated styling and sleek lobby and bar, which is appropriate for an airport hotel, that offers convenience and a comfortable evironment for business to be conducted. We are greeted by the lovely Tika and accompanied to Mobius restaurant, which is set to the right of the bar. Being open plan, the styling seamlessly flows from the lobby to the bar and onto the restaurant. Shorly after being seated, a glass of bubbly appears at the table, followed by the chef’s charcuterie and greetings. The waitstaff ever present, proactive in attending to any possible need. 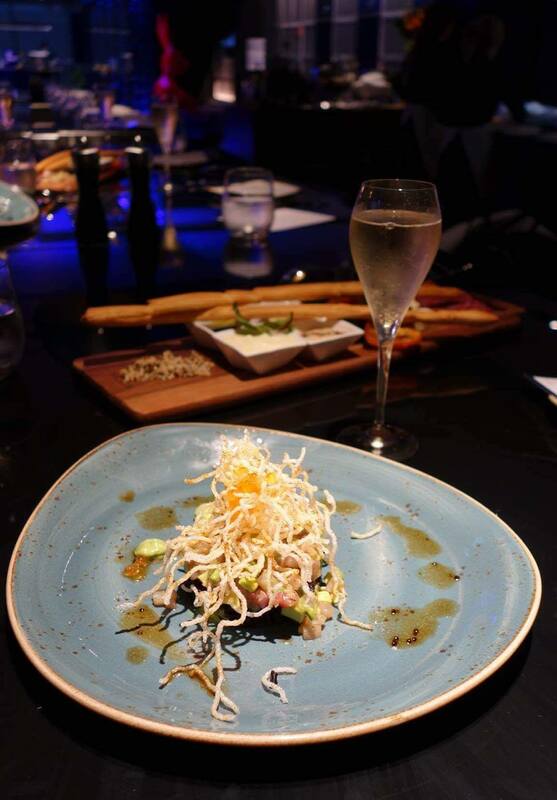 The starters are very on trend with a delicate and refined version of kingfish poke with black rice soy and wasabi dressing, which was delicate and as fancy as a 5 star hotel. There were also some beautifully prepared scallops. Sorry, spoiler alert: The scallops are actually king mushrooms. 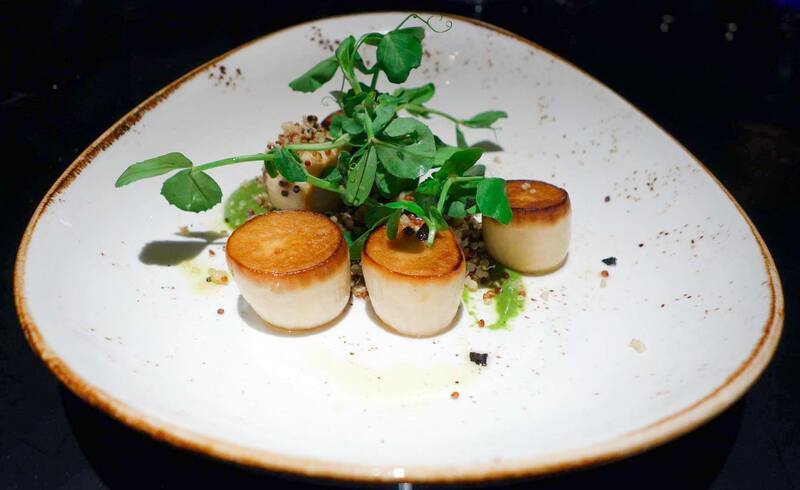 There would usually be disappointment as we have major love for some scallops but not on this occasion, as the mushroom scallops were exquisite with beautiful texture and full of flavour. 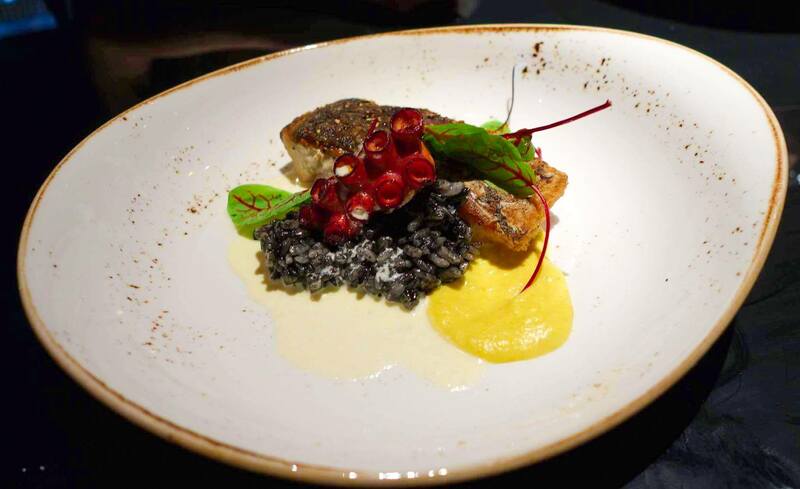 For mains there was substance and style displayed in the plating of the Crispy skin barramundi and octopus served with sqiuid ink risotto. The barramundi perfect, the skin so crisp. 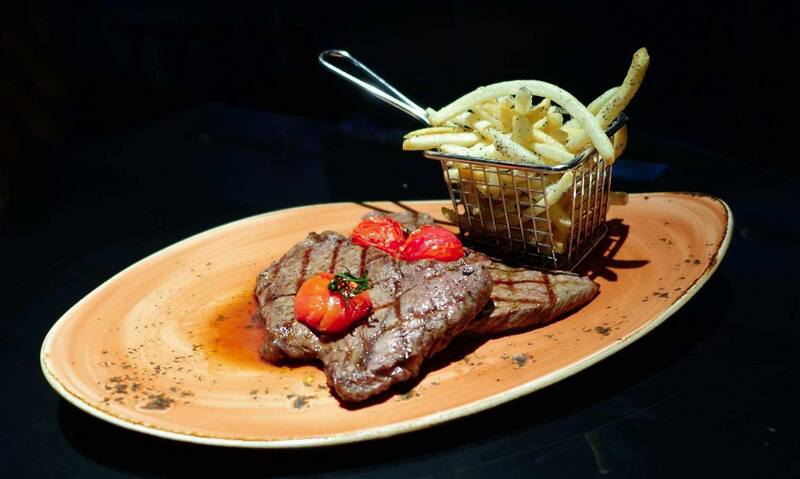 Equally perfect in preparation was the rangers valley black onyx steak with roasted tomatoes this was served with a basket of shoestring fries seasoned with black garlic and rosemary and had us going off like a pack of seagulls. The fries so good we ordered a second serving. The steak paired nicely with a glass of red. We have a bit of an infatuation with the bombe alaska, it is always a show stopper. When that meringue mountain arrives at the table there is always a little anticipation which is followed by the excitemet of opening it up, to see what is inside. 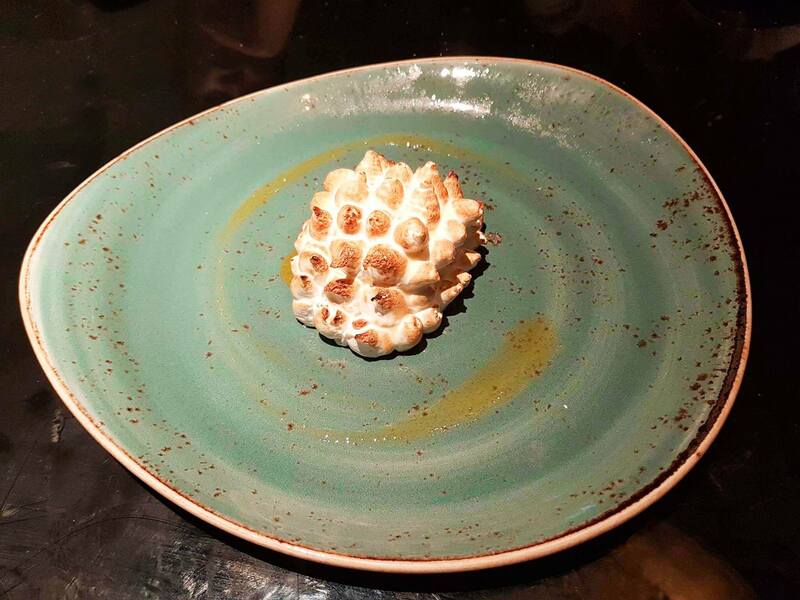 With everchanging flavours in Mobius’ Bombe Alaska, it can always be a surprise. 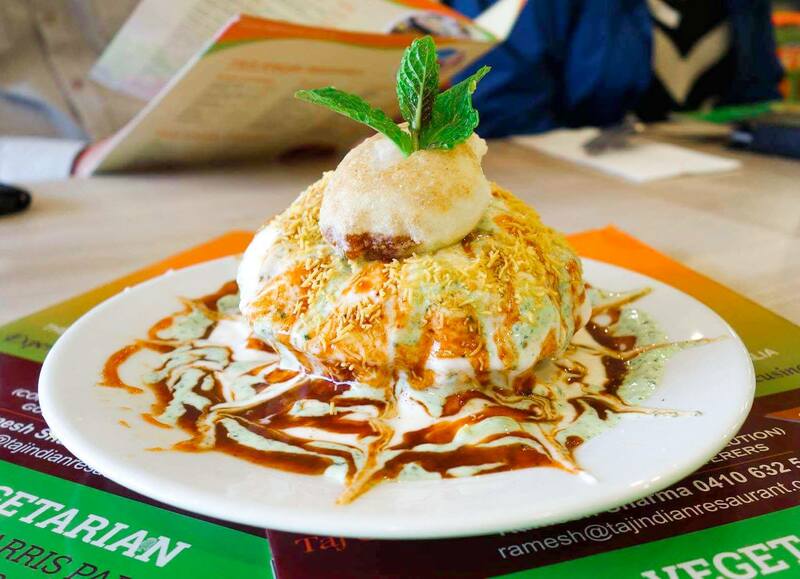 This time it was a trio of flavours being passionfruit, coconut and matcha which hit the mark. There was also the dark chocolate soufflè always a crowd pleaser, thus was served with milk chocolate mousse with brownie soil and a white chocolate and macadamia ice cream sandwich. Enhace the dessert with a nice dessert wine. 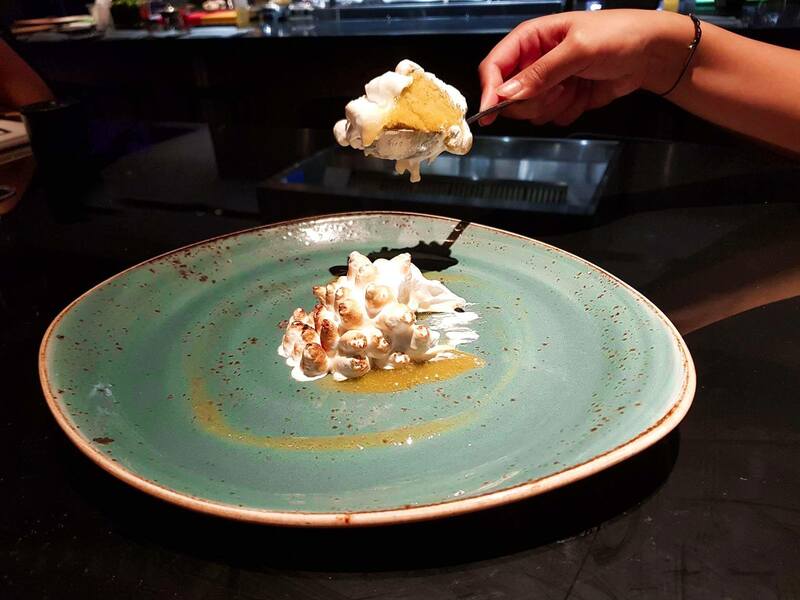 An enjoyable dining experience from start to finish. 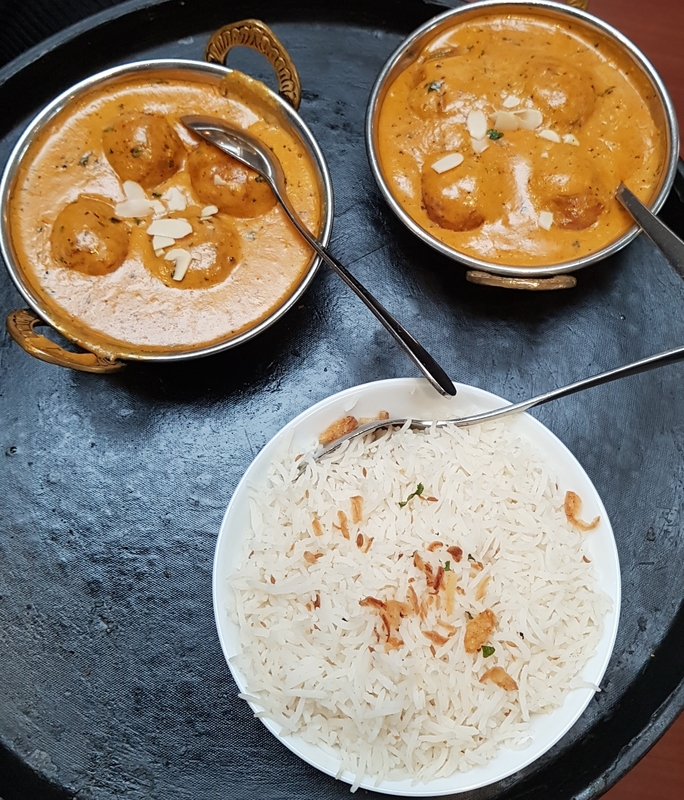 Great service, food and ambiance. We will keep an eye out for the $20 express lunch, which will definitely get a run on a Friday. Thanks to Cecelia and the FCBA crew for arranging another great catch up. A huge thank you to Tika and the staff at the Pullman for the impeccable meal and service. 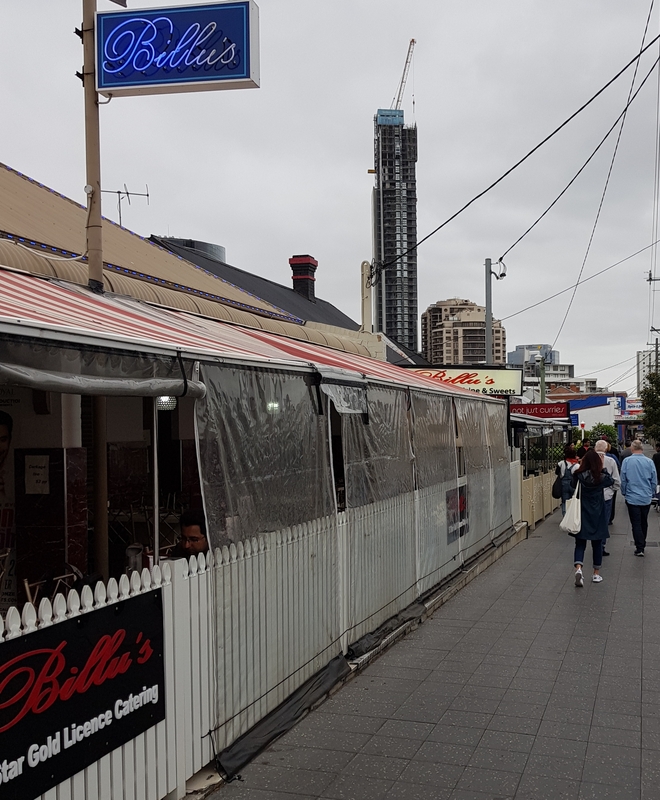 A huge cafe near Dulwich Hill train station, with a rustic outdoor area, lounge and table seating as well as a beautiful garden to enjoy your breakfast, brunch or lunch. It would also be perfect for a small celebration and we understand they do catering and private events too. The styling of the backdoor area in particular the garden suits the theme and matches their food concept well. ‘Eat well, feel well’, ‘nourish the body and soul’ and ‘paddock to plate’, would all be fitting statements to make about this place. They produce healthy and honest food, straight from the garden and sea. Not only is the food instagram worthy aesthetically, it is also amazingly healthy and tasty! Dough from Brasserie Bread, seafood and fish from Tassos and fruit and veg direct from the garden! We tried the ‘Strawberry Dear Rose Mess’ with infused rose Coconut Yoghurt, raspberries, strawberries, grapes, passion fruit and strawberry gum meringue. Plated beautifully and the flavours and textures worked really well together. We also had the locally sourced creamy and smooth burrata with house elderflower balsamic, beetroot, salmon confit, pickled baby fennel and citrus. For those who enjoy sweets, I’d be going back for the lamington pancakes! Coffee beans roasted by ‘The little marionette’, a top brew. 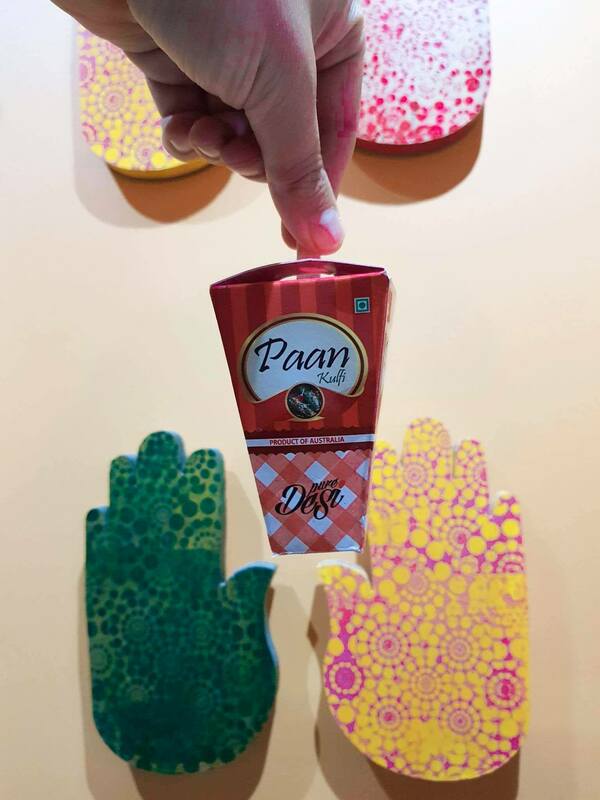 Time and care was taken with their coffee making and our coffee came complete with amazing art. Southern lights tea, Marrickville brew and wine, it’s not just about the coffee! Something for everyone. Highly recommended. Lets face it, coffee is the liquid that makes the world go round, or at least keeps most people going. Have you ever wanted to step to the other side of the coffee machine, grow a bit of stubble and practise your art of coffee pouring? At Roastville, they run coffee workshops that let you get a feel for what it’s like to be a barista or to improve your skills. Roastville is a cool specialty coffee cafe and workspace where they roast their own beans. This coffee lovers dream was set up by George, who has vast coffee knowledge and commissioned the coffee workshops. We attended the barista introductory workshop run by Andy Liu, an accomplished Barista with 10 years experience. Andy himself was trained by a world champion barista and has been titled the NSW Barista champion. Andy is a coffee aficionado, when he is not behind the machine he grades coffee, is involved in quality control and cupping sessions. Andy sees the Barista as a bridge between consumer and producers. We start the workshop with an introduction, with many of the participants having different levels of experience and reasons for attending. In this workshop you will learn the skills required to work the coffee machine. Most importantly, to be organised and methodical, instilling this as habit. This is essential if you are pumping out 400 to 800 cups a day. We learn about the product and how to calibrate the grinder to produce the right size grain. Follow a recipe, which is a science requiring scales to weigh your dose, you need to set the machine with the right amount of pressure and have the correct brew time. Whilst doing this you also need look after the machine. Learn to be a milk stretcher, hit the right angles with the frother, creating the right amount of foam. Then channel your inner artist to finish the job by producing art in a cup. Whilst the art may seem superficial, it is certainly important – it shows you take care with your work. We gained alot of insight through this workshop, the sessions are intimate, fun insightful and you are learning quality processes from one of the best. Having completed the workshop we have gained a greater appreciation of what it takes to make a good cup of coffee. It is art and science which need to be combined to pump out large volumes of of quality coffee under intense pressure. This workshop is great for a bunch of friends looking for their caffeine fix, and learning some great skills. It is challenging work, so props to those quality baristas out there. Along with the barista introductory workshop, Roastville also offer espresso, latte art and cupping workshops. Check out the below link for more details. We loved the workshop, thank you to Roastville for the invitation to experience barista work. What all Sydney foodies must do during 5-22nd October as part of Sydney’s ‘good food month’ is attend the Night noodle markets in Hyde Park. Each year, a section of the park is occupied by a number of pop-ups, showcasing what the Sydney food scene has to offer from across Asia. 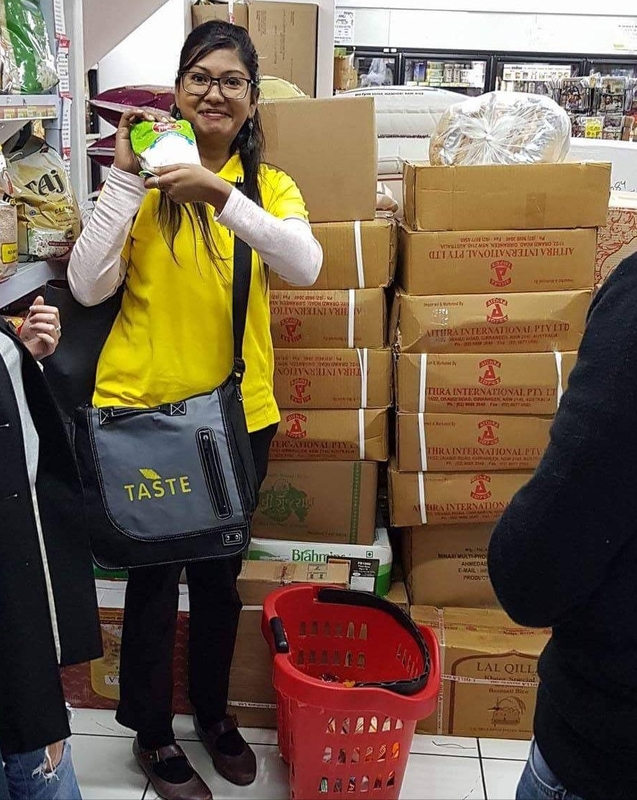 With a number of Sydney’s most popular food joints congregating in a single area, it will allow you to easily tick off a few bites on your wish list such as Gelato Messina, Black Star Pastry, Cloud Thief, Waffleland, N2 Gelato, One Tea Lounge and Span Thai just to name a few. We were keen to try some of our favourite foods, the Bao and peking duck fries from the recently re-branded Cloudthief (formerly known as Bao stop). They sell their original Bao stop menu but Matty Forwood, the founder and owner has recently upped their game by adding three new flavours for you to try. The delicious new bao trifecta consists of a cloud like Bao with fillings that include the beef spare rib in plum sauce, singapore soft shell crab and butter mushrooms. If you’re as much of a fan as as, make sure you visit their soon to open store in World Square. 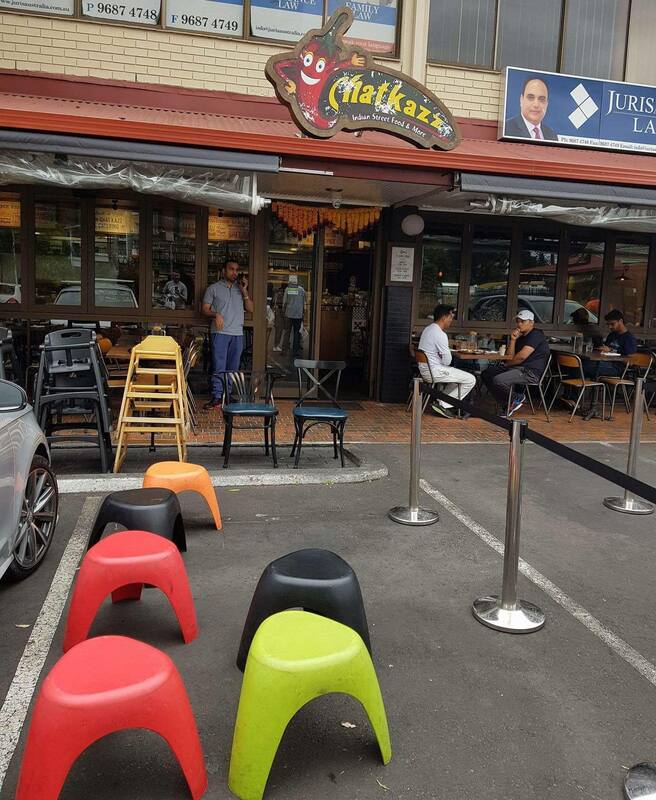 We were lucky enough try some amazing burgers from Chur Burger; and dumplings from Taiwan noodle house and also one of our favourites, the custard dumplings from Let’s do Yum Cha. Include to the list; the BBQ options from Hoy Pinoy and Poke, one of the fresh and healthy options that is so popular these days. For some top desserts, get your hands on waffleland’s waffle sticks with Nutella, strawberries, lychee or a mix of everything! Black Star Pastry also have the new mango sago cake and old favourite the strawberry watermelon cake. There are some awesome concoctions like a Katsu ice cream sandwich created by Gelato Messina. Grab a group of friends and enjoy the extended daylight gifted through daylight savings and turn it into an evening out. There is a great vibe to the night noodle markets with family friendly music, dancing Chinese dragons and more importanly great food and drink to sample. 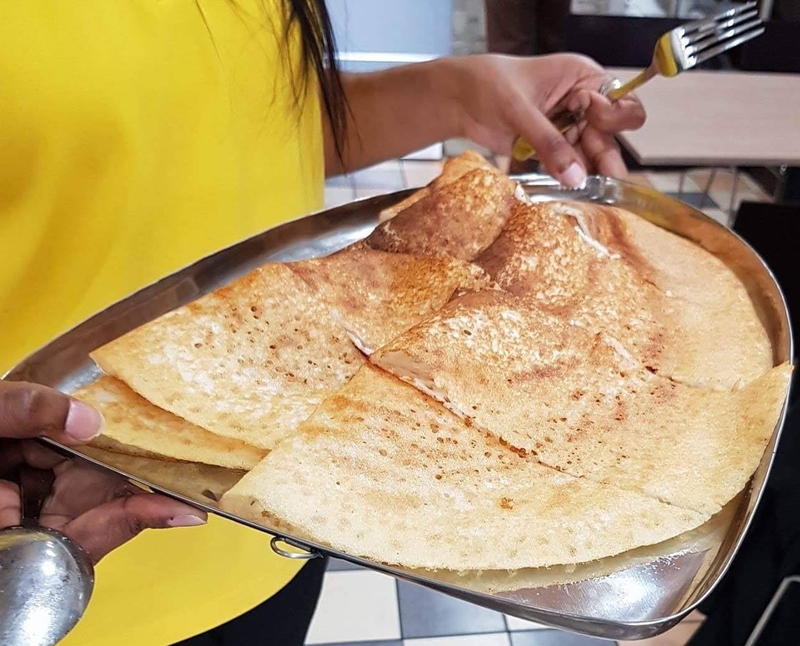 There is something for everyone, whether you are after bao, poke, a range of dessert options, yum cha, Thai or Malaysian hawker food. The noodle markets are busy, with line ups for certain favourites, however there is plenty to choose from and all stalls are cash free to keep the lines moving, so be sure to bring your cards. If you’re a Citi Bank card holder, there’s even a VIP area. The lines at messina and Black Star were quickly moving along. One of our favorites was the house of crabs, which had no line at all. The prawn toast was the goods and Soft shell crab Po Boy was our standout meal from the noodle markets, it was pretty much all the elements of Singapore Chilli Crab shrunken into a roll that you can devour in seconds. Be sure to stop by ‘Beer the beautiful truth’ easy to find, just look for the giant schooner glass. Grab a table and browse through one of their information booklets. The booklet will guide you when pairing beer to enhance your food experience. Beer is diverse, it has more tasting notes than wine and can be paired with any meal. The night noodle markets keeps getting better, it is well organised and has certainly upped the ante! The Alfred Hotel Camperdown offers a great pub feed at a very good price. The food is prepared from scratch, using fresh seasonal ingredients. The Alfred Hotel is in a prime location next to the Prince Alfred Hospital, close to Sydney Uni and the happening suburb of Newtown. The Pub has a nice deco facade and is neatly presented from the exterior. The interior looks like most other pubs with the bar front and centre, there is a courtyard and a sports bar making it an ideal place to watch some sport, have a few ales and enjoy a meal. The Alfred has new owners, having already made inprovements by employing Chef Jamie and have not stopped there, they have added an ever changing boutique beer and cider selection and there are plans for renovations which is sure to make this pub a must visit destination. The bistro here truly stands out. The menu contains a bunch of pub favourites prepared to an exceptional standard by Chef Jamie, who cut his teeth at Glass Brasserie. The food here is extremely good value, considering the quality. There are $12 daily specials and most mains priced under $20. We visited in a group and sampled a number of items on the menu. The Fried Chicken drumstick starter was pretty impressive, it was salted, confit, coated three times in flower with tebasco sauce and vinegar for a sweet and sour flavour. The batter was tasty, the meat nicely cooked and it was not greasy. This is also served with a rich blue cheese sauce, the stuff heart attacks are made of, but damn tasty. All of the mains were quality comfort food including fish and chips made from whole potato and produced in house served with a chunky tartare sauce. The fish pie, made with fresh fish sourced from the markets, a rich bechemel and topped with a crunchy Crouton crumb. If a schnitty is your thing, they do a great pork schnitzel with a fried egg and spicy apple sauce. The chef is taking the pub food to another level with the herb and parmesan Gnocchi which combined nicely with charred corn, kale chips, sauced with brown butter and sage. The Alfred Hotel’s version of surf and turf was a welcome adjustment on an old favourite, with House BBQ sauces brisket topped with crumbed prawns. The brisket falling apart at the sight of the fork. A pub bistro and a Sunday roast go hand in hand. The roast is only served on Sunday and regularly changing to provide variety. The beef was particularly good and the Yorkshire pudding was superb and worthy of a visit for alone. We finished the meal with the beetroot brownie with salted caramel ice cream. A classic dessert with the beetroot adding a bit of a twist keeping the brownie moist. There was also a cheese board, which is not usually something you see on a pub menu. But the Alfred should be considered a gastro pub and the cheese platter was certainly welcome at our table. 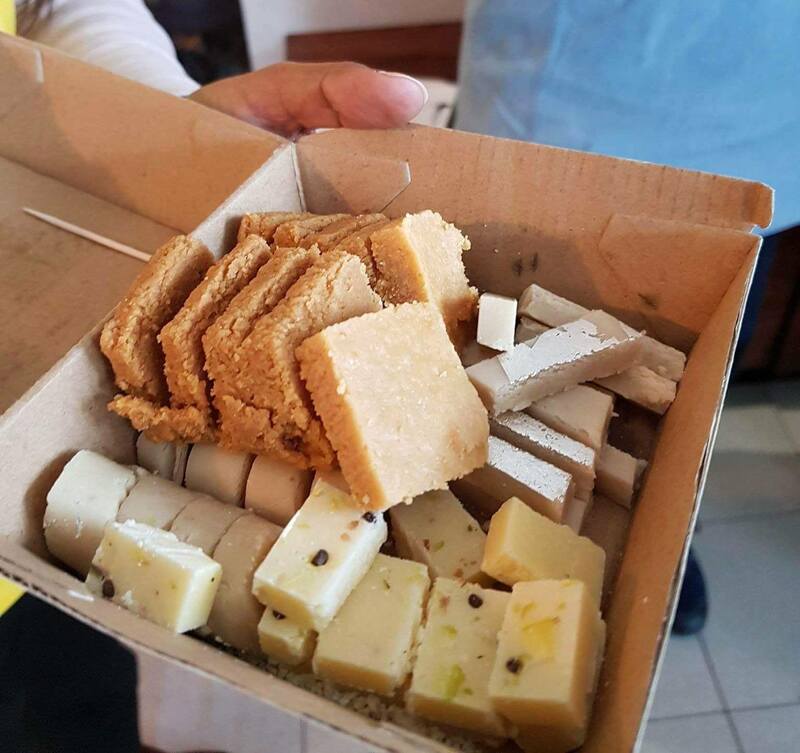 With a sampling of Australian cheese including a blue and a cheddar, this was served with a selection of red wine poached apple, toasted nuts and a house made chutney. 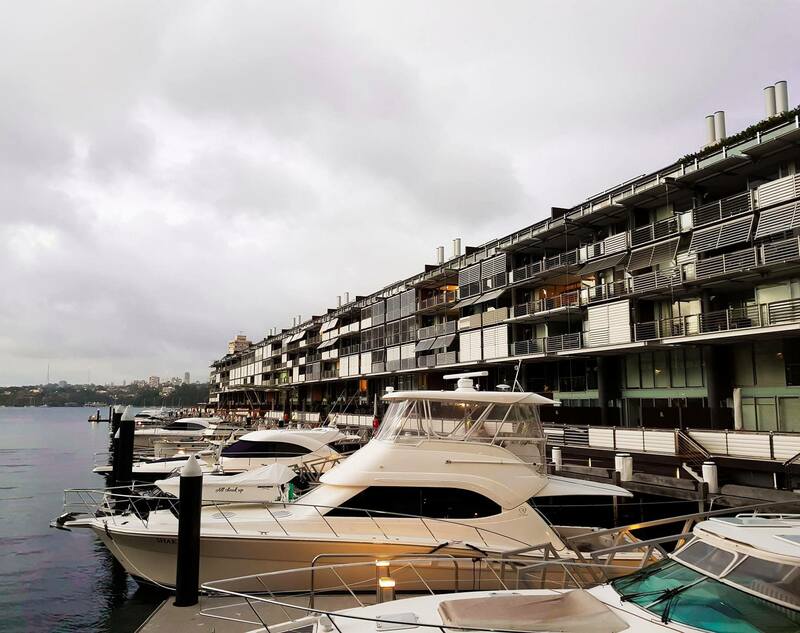 Add this to your list of Sydney pub feed destinations. Great value and a top notch feed with everything prepared in house using seasonal ingredients. Throw in stocked bar, a coutyard and a sports bar and you have everything you need.